This little space right here; classic styling, richly hued wood, a great little fireplace tucked away neatly, and a sturdy desk to scribble off a few word sketches. And the dessert? Rows upon rows of paper gold…books. 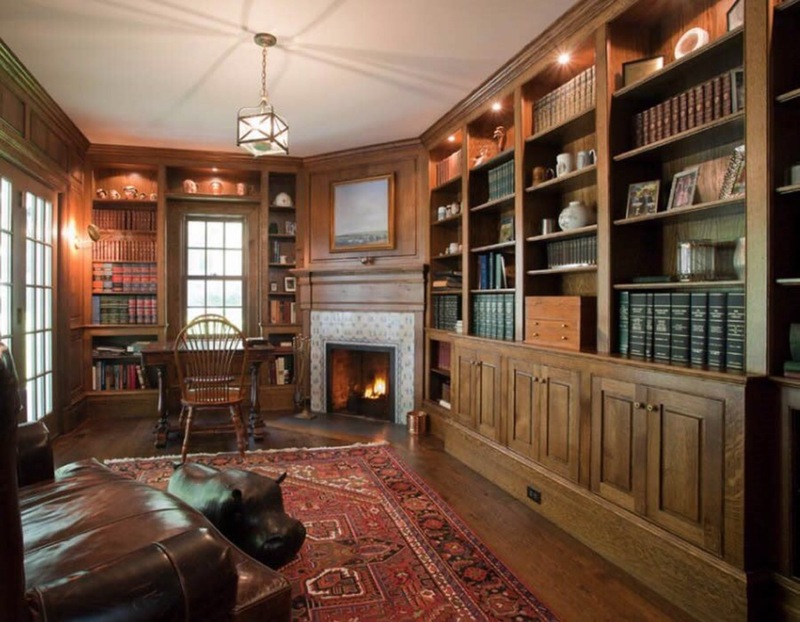 This is a book lover’s room.